Over-the-counter (OTC) diet pills are pills that users can buy without a prescription. Individuals who struggle with weight loss can buy these pills in supermarkets and health food stores. Over-the-counter diet pills diet are not necessarily less dangerous than prescription diet pills, and can have serious side effects. In most cases, OTC diet pills are not FDA-approved, with the exception of Alli, which is the only over-the-counter weight loss pill that has been approved by the FDA. Nonprescription drugs have to gain FDA approval. In other words, the companies that produce these drugs have to have sufficient scientific evidence to guarantee safe and effective usage of the drugs. After a drug has passed the FDA trial, it is safe to put it on the market. Dietary supplements, on the other hand, do not require FDA approval to be marketed. Dietary supplement manufacturers have the freedom to sell their products as soon as they finish their safety research and deem the drugs safe for use. What are the side effects of over-the-counter diet pills? Before you try a diet pill, whether or not it’s purchased over the counter, you should be aware that there is no such thing as a magic weight loss pill. If you are dedicated to your goal, you will also have to change your lifestyle. A low-carb diet and exercise are musts when it comes to successful weight loss. Diet pills are not a shortcut but an extra boost that will help you keep off excess pounds. To avoid disappointment, set realistic goals. Likewise, do not trust everything you see in commercials. You need a realistic and sustainable method to lose weight and keep that weight off. Before you start taking diet pills, make sure to go to your doctor for a routine check-up. If you have a chronic medical condition such as asthma, diabetes, or high blood pressure, your physician may advise you not to take any dietary supplements. Another situation in which you should avoid diet pills is during pregnancy, the breastfeeding period, or if you are trying to get pregnant. Diet pills may interfere with normal fetal development. Many OTC diet pills labels indicate that all of the ingredients are natural. Bear in mind that in most cases, that is not true. Make sure to do your research and read the Supplement Facts label thoroughly. That way, you can learn the exact ingredients of the pills and what adverse reactions they can cause. How it works: Alli works as a fat inhibitor. By taking this medicine, you will not absorb as much fat as usual. Is it effective: There are many studies about Alli’s effectiveness. According to most of them, this medicine can help you lose six pounds in less than two months. Side effects: Alli’s side effects are mostly related to digestive problems such as loose, oily stools. 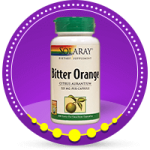 How it works: Bitter Orange acts as an appetite suppressant and metabolism booster. Is it effective: There is not much information about the effectiveness of this pill. According to some users, it can produce moderate results. Side effects: Bitter Orange can cause serious side effects such as anxiety, high blood pressure, increased heart rate, and even stroke or heart attack. How it works: Conjugated Linoleic Acid acts as an appetite suppressant and a metabolism booster. Is it effective: According to some users this pill provides modest results. Side effects: CLA can cause liver and digestive problems or inflammation. 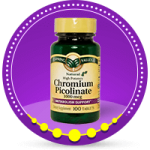 How it works: Chromium increases muscle mass and acts as an appetite suppressant and metabolism booster. Is it effective: Some users claim they lost approximately 20 pounds in five months. Side effects: Possible Chromium side effects are stomach pain, nausea, vomiting, low blood sugar, and loose stool. How it works: Chitosan acts as a fat and cholesterol blocker. Is it effective: There have been only a few studies conducted on Chitosan. According to users’ reviews, this medicine helps them maintain their current weight. 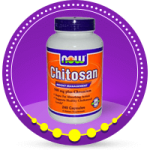 Side effects: Chitosan can cause loose stool, frequent bowel movement, constipation, insomnia, nausea, etc. 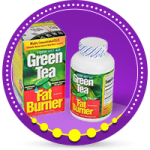 How it works: Green tea extract acts as a fat burner by increasing norepinephrine levels. Is it effective: This medicine can help you lose weight, especially in the stomach area. Side effects: Green tea side effects include insomnia, diarrhea, high heart rate, tremors. Picking the right over-the-counter diet pill can be a slippery slope because not everything we see on a TV is true. There are only a handful of studies about these pills’ effectiveness. Furthermore, side effects can be severe, and even life-threatening. If you still want to give OTC diet pills a try, do your research thoroughly and consult your physician. If used properly, along with a healthy nutrition plan and daily exercise, these pills can help you reach your ideal weight. The information on this site is not intended or implied to be a substitute for professional medical advice, diagnosis or treatment. All content, including text, graphics, images and information, contained on or available through this website is for general information purposes only. This information is not intended to be patient education, does not create any patient-physician relationship, and should not be used as a substitute for professional diagnosis and treatment. Copyright © 2016 Diet Pill Facts. All right reserved.